The site has three General Electric boiling water reactor (BWR) nuclear generating units and is owned entirely by the Tennessee Valley Authority. It was the Tennessee Valley Authority’s (TVA) first nuclear power plant, and the largest in the world when it began operation in 1974. TVA restarted Browns Ferry Units 2 and 3 in the 1990s. As part of a long-range integrated resource planning process, TVA deferred the decision in 1995 to recover Unit 1. 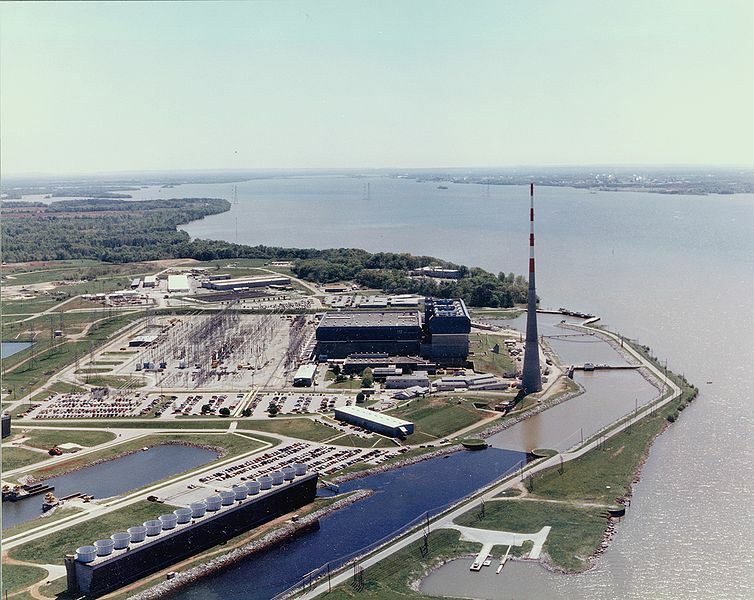 In 2002, TVA completed a number of detailed studies and determined that restarting the long idled reactor was the best business decision to help meet growing demand for electricity in its service area. In 2002, when the TVA Board decided to authorize the restart project, TVA estimated Unit 1 would have to operate between seven and eight years in order to pay back the cost of recovery. Major construction on Browns Ferry began in 1967. Unit 1 began commercial operation on August 1, 1974. Unit 2 began commercial operation on March 1, 1975. Unit 3 began commercial operation on March 1, 1977. TVA shut down Browns Ferry and the rest of its nuclear fleet in 1985. TVA restarted units 2 and 3 in 1991 and 1995 respectively. 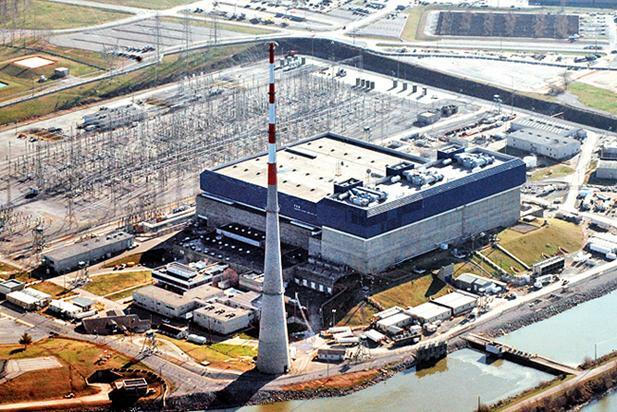 TVA Board approved the restart of Unit 1 in May 2002. During the 7.1 aftershock on April 7, water sloshed out of spent fuel pools in the plant’s No.1, No.2 and No.3 reactors, which had been shut down after the 9.0 magnitude quake on March 11, and had also leaked in three other locations in the No.3 reactor complex. Tohoku Electric said on Friday two out of three lines supplying off-site power to the Onagawa site — in so-called cold shutdown since the March 11 quake — were lost last night in the strongest aftershock so far of the earlier quake. Cooling operations of its spent pool fuels resumed after they stopped due to the quake, it said, and there was still an emergency backup generator to fall back on. According to Tohoku Electric, the cooling systems for the temporary storage pools for spent nuclear fuel rods at the Nos. 1 to 3 reactors in the Onagawa plant stopped temporarily after the aftershock hit the area and water spilled out from each pool. The cooling systems were manually reactivated about an hour later. The fuel rods were not exposed and no radioactive substance had been found to have leaked outside, the company said. Tohoku Electric said it’s possible the malfunction of a pressure gauge attached to a pump might have caused the cooling system for the No. 1 reactor’s storage pool to stop. The company is investigating the reason for the temporary shutdown of the cooling systems for the Nos. 2 and 3 reactors’ storage pools. Tohoku Electric is also investigating the cause of the power cuts. A transformer station that supplies electricity to the plant suffered no failures. The Onagawa Nuclear Power Plant is a nuclear power plant located on a 432 acres in Onagawa in the Oshika District and Ishinomaki city, Miyagi Prefecture, Japan. It is managed by the Tohoku Electric Power Company. It was the most quickly constructed nuclear power plant in the world. The International Atomic Energy Agency said off-site power was lost at some other nuclear facilities in the country after Thursday evening’s quake, and that emergency power supply was operating. A cooling system at the Higashidori nuclear power plant in Higashidorimura, Aomori Prefecture, stopped temporarily after the aftershock, plant operator Tohoku Electric Power Co. said Friday. According to the company, two external power sources for the Higashidori plant, which was not operating at the time due to a regular inspection, were cut off as a result of outages throughout the prefecture following the aftershock. An emergency generator was used to supply power to the plant. The cooling system for a temporary storage pool for spent nuclear fuel rods, where all the plant’s nuclear fuel was stored, stopped automatically, but restarted about one hour later. No leakage of radioactive substances has been found, the company said. Another external power source, which was under inspection at the time of the aftershock, was restored at about 3:30 a.m. Friday. Tokyo Electric Power Co. said Friday that the aftershock did not cause any new problems at its Fukushima No. 1 nuclear power plant. Nitrogen injections into the No. 1 reactor and the transportation of contaminated water continued smoothly despite some disturbances in restoration work, TEPCO officials said. At Japan Nuclear Fuel Ltd.’s nuclear fuel reprocessing plant in Rokkashomura, Aomori Prefecture, two external power sources were cut off due to outages after the aftershock, but an emergency power source was activated. The plant was conducting test operations. According to Japan Nuclear Fuel, spent nuclear fuel rods and a system to cool radioactive waste solution were unaffected. According to the Economy, Trade and Industry Ministry’s Nuclear and Industrial Safety Agency, it is extremely rare for an emergency generator or power source to be activated at a nuclear power plant. 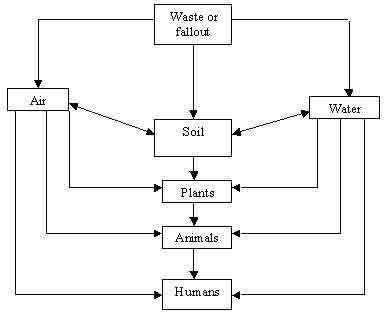 Such systems are a last resort, meant to supply power only after regular external power sources became unusable. 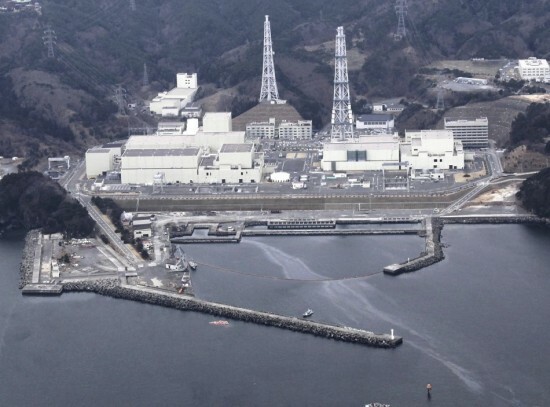 An emergency power source was lost at the Fukushima No. 1 nuclear power plant after tsunami ravaged the facility on March 11, making it difficult to cool down nuclear reactors in a stable manner. Three of the four external sources for the Nos. 1 to 3 reactors at Tohoku Electric Power’s Onagawa nuclear power plant in Onagawacho and Ishinomaki, Miyagi Prefecture, stopped supplying power late night Thursday. As of Friday morning, however, one of the three sources was working again, the company said. It has recently been reported in a number of blogs that Xe-131 has “blanketed” The US. There is enough to worry about during this event and Xenon is not one of them. 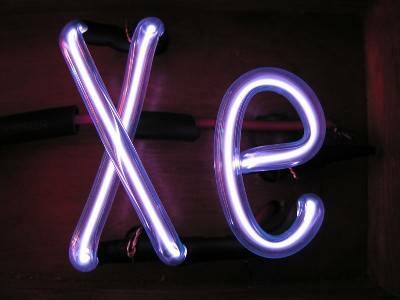 Pacific Northwest National Laboratory measured and reported the Xenon. Their lab has the most sensitive instrument in the world measuring specifically for Xenon around-the-clock. They are set up to provide Nuclear Test Treaty verification. They are not set up to warn for un-healthful levels during a radiation event. 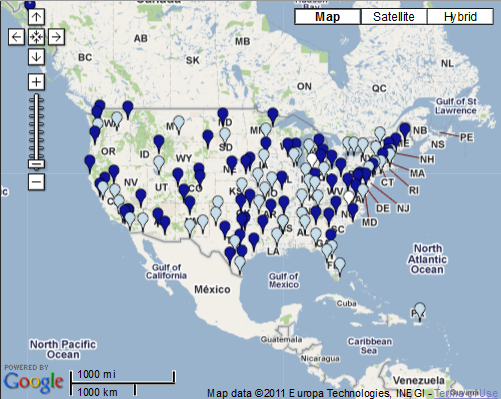 Most of the “articles” include a moving map from WeatherOnline as proof of the blanket of Xe-131 covering us all. These are predictive dispersion models of where radioactive isotopes might go if they were in the atmosphere at that time. They are basically weather maps – not radiation predictors and should be treated as such. The gamma exposure rate at 1 cm from 1 mCi of Xe133 shielded for betas is 150 mR/hr, and at 1 foot will be 0.17 mR/hr. The half and tenth values of lead for this gamma are 0.003 and 0.015 cm respectively. This means that lead sheets or regular lead shipping pig will be sufficient for shielding the material. The maximum range of the betas is about 0.002 inches in lead. Therefore, the use of the lead shield for storage will provide adequate shielding for the beta particles. If skin is uniformly contaminated with Xe133, 1 microcurie /cm2 deliver a dose of 4200 mrems/hr to the basal cells of the skin. It is important to avoid ingestion, inhalation and/ or skin contamination. The NCRP MPC for Xe133 is 10E-5 uCi/ml for 40 hr/wk. 1. Xe133 is heavier than air and hard to be kept in solution form, therefore, one should work in well ventilated areas. 2. Survey frequently. Change gloves often. Subsequently, from the 3 spots where periodic sampling was conducted on March 25th and 28th and from another spot which was supplemented on 25th, we conducted analysis of plutonium contained in the soil. As a result, plutonium 238, 239 and 240 were detected. In addition, we conducted nuclide analysis of gamma ray contained in the soil collected on March 21st and 22nd at the 5 spots in Fukushima Daiichi Nuclear Power Station. Such analysis was also conducted on soil collected on March 25th and 28th at the 4 spots. As a result, radioactive materials were detected as described in the exhibit. Today we have received a letter of protest from National Federation of Fisheries Cooperative Associations (NFFCA) with regard to the discharge of the low level radioactive wastewater from Fukushima Daiichi Nuclear Power Station to the sea. We, as the operator of the power station, received the letter with sincerity, being painfully aware of the feelings and concerns of people in the fishery industry. 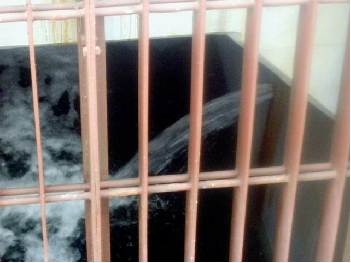 While the water discharge was an unavoidable emergency measure implemented after the consultation with the national government in order to prevent the spread of high level radioactive substances, protect the essential safety facilities from inundation and maintain the cooling functions of Units 5 and 6, we would like to make our deepest apologies for the concerns and anxieties caused by our insufficient explanation in advance. With regard to the compensations related to the water discharge and other issues, we will follow the Act on Compensation for Nuclear Damages and sincerely address them with support from the government. We would highly appreciate it if NFFCA could understand the above. Working closely with the government, we will make every effort toward the earliest resolution of the situation. 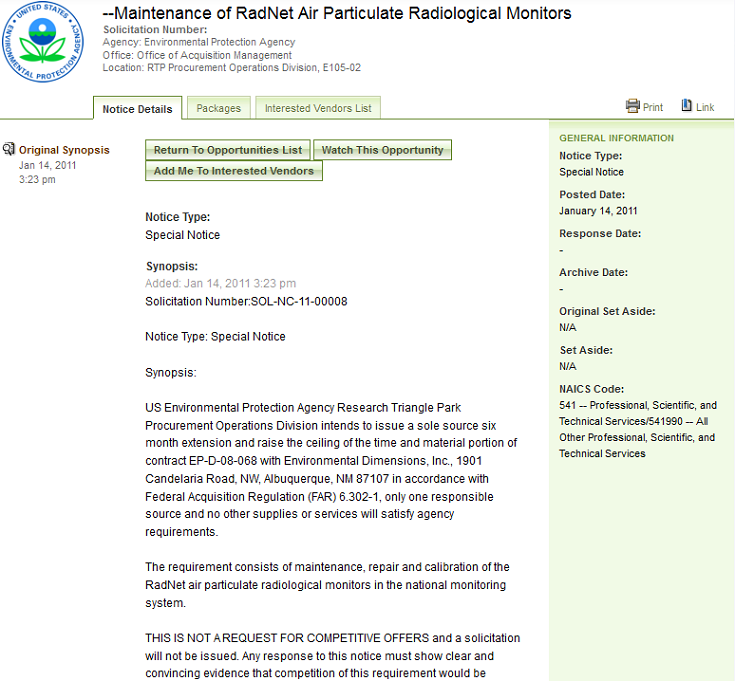 RadNet – the EPA’s front-line, radiological detection network is severely flawed and suffers from maintenance and reliability issues. The lack of consistent data and the number of units offline (a techie term for broken) at the time they were most needed shows that the EPA was not prepared for this emergency. The graph shows that this monitoring station was one of the units actually running on 3/11 . The readings were significantly higher prior to 3/11 and drop to a much lower level afterwards. This is an indication that the units were running in an uncalibrated condition and were adjusted only after the events at Fukushima. Who is responsible for assuring that the system is up and running? The EPA contracted this responsibility to a private company, Environmental Dimensions, Inc.
Environmental Dimensions, Inc (EDI) has provided maintenance for EPA’s RadNet monitoring systems under a sole source contract which can be viewed at the end of this article. The base amount of the contract is $238,000.00. This does not include materials and travel, which is billed back to the government as needed. The contract was awarded to what is stated as a “Woman-owned 8(a) Small Disadvantaged Business“. The disadvantaged woman in this case is EDI company president Patricia S. Bradshaw, former Deputy Under Secretary of Defense appointed by George Bush. Could it possibly be that the corporate management at EDI formed the company not out of an altruistic sense of patriotic duty but to cash in on inside information and connections? 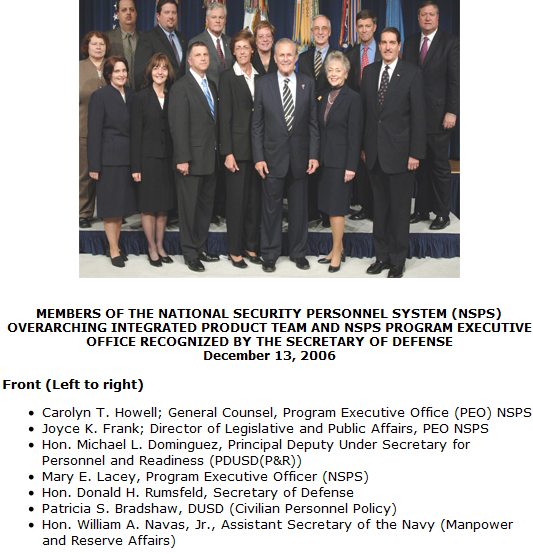 Did Mrs. Bradshaw’s former DOD employment open the door? Did the fact that she heads a woman-owned business give her company a competitive edge? EDI’s revenues have doubled in each of the past three years and they currently have 90 employees spread across offices in Albuquerque, Denver and Oak Ridge. The New Mexico Corporations Division website lists the corporate address as : 1901 CANDELARIA NW ALBUQUERQUE, NM. This same company also performs radioactive waste remediation and decontamination services for a number of government-funded projects. Do they follow the same cost-cutting, profit-maximizing philosophy as it appears that their maintenance and calibration division practices? The Fukushima Daiichi plant has seven pools for spent fuel rods assemblies. Six of the pools are located at the top of each reactor building and contained 3,450 fuel rod assemblies between them in 2010. There is one common pool building housed in a dedicated building. The common pool contains 6,291 fuel rod assemblies. A dry cask is used to store another 408 assemblies. 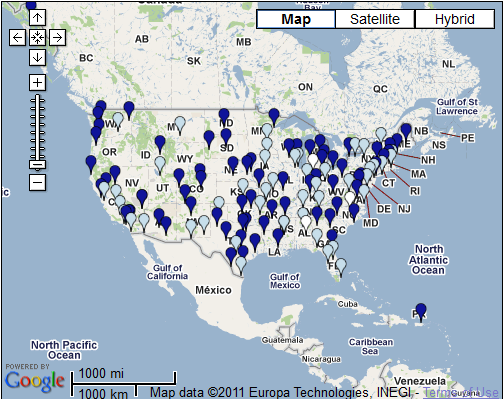 This is a reported total of 10,149 as of March, 2010. 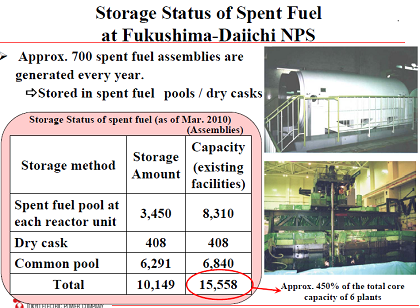 Add another 700 units for the period of March 2010 to 2011 and the current estimated total of fuel rod assemblies at the reactor site is 10,849. Each assembly contains 63 fuel rods. So at the time of the accident there were almost 640,000 spent fuel rods being stored on site. A total of 1,760 metric tons of spent nuclear rods are stored above and around the reactors. Sometime prior to 2010 the holding capacity of the pools above the reactors was increased by re-racking the existing rods. It is unclear if this increase was anticipated in the original design. What has become clear is that the added storage of spent fuel rods at the Fukushima reactors is greatly increasing the scale and mortality of this current, world-class emergency. The practice of re-racking is not limited to Japan. 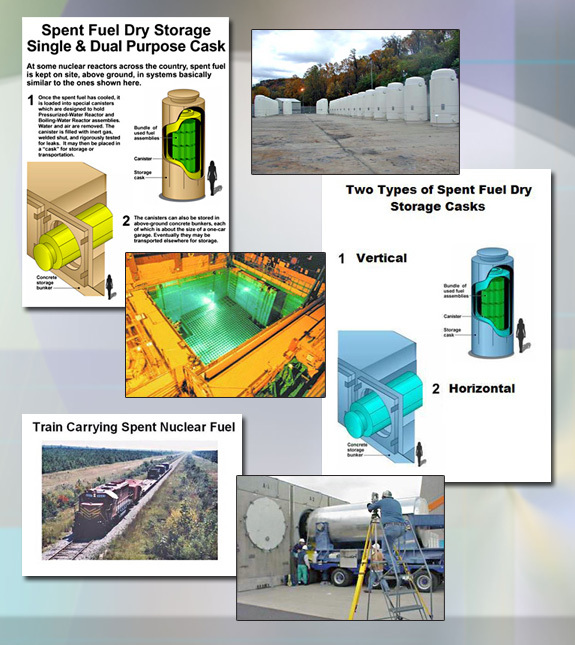 Here in the US, the Nuclear Regulatory Commission (NRC) has increased the number of spent-fuel rods allowed per pool partly because a national disposal site for nuclear waste has not been established. But the main reason that federally sanctioned re-racking has been allowed is because plant operators avoid millions of dollars in costs by delaying moves to safer but expensive dry cask storage. 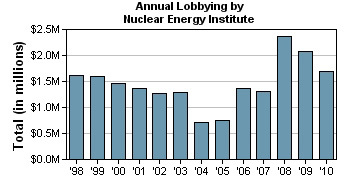 The concerns of the plant operators drown out any opposition bolstered by the immense amount of money and manpower marshaled by the various lobby groups and PACs – most notably the Nuclear Energy institute (NEI). The NRC insists the practice is safe but many scientists and engineers say the practice is dangerous and warn that the sheer volume of radioactivity in the pools could turn an accident or natural disaster into a cataclysm. JUST LIKE FUKUSHIMA. A 1997 study by the Brookhaven National Laboratory concluded that a pool fire at a plant like Millstone Nuclear Power Station in Connecticut or Pilgrim Nuclear Generating Station in Massachusetts could kill 100 people instantly and another 138,000 people eventually. Some $546 billion in damage would result, the study said, and 2,170 square miles of land could be contaminated. After uranium fuel has been used in a reactor for a while, it is no longer as efficient in splitting its atoms and producing heat to make electricity. It is then called “spent” nuclear fuel. About one-fourth to one-third of the total fuel load is spent and is removed from the reactor every 12 to 18 months and replaced with fresh fuel. Spent nuclear fuel is still highly radioactive and potentially very harmful. Ten years after removal from a reactor, the radiation dose 1 meter away from a typical spent fuel assembly exceeds 20,000 rems per hour. A dose of 5,000 rems would be expected to cause immediate incapacitation and death within one week. Many of the radioactive elements in spent fuel have long half-lives. For example, plutonium-239 has a half-life of 24,000 years, and plutonium-240 has a half-life of 6,800 years. Because it contains these long half-lived radioactive elements, spent fuel must be isolated and controlled for thousands of years. Currently, most spent nuclear fuel is stored in specially designed pools at individual reactor sites around the country. The water-pool option involves storing spent fuel in rods under at least 20 feet of water, which provides shielding from the radiation for anyone near the pool. The fuel pools vary in size from a capacity of 216 to 8,083 fuel assemblies. Most pools were originally designed to store several years worth of spent fuel. A second hazard of spent fuel, in addition to high radiation levels, is the remote possibility of an accidental “criticality,” or self-sustained fissioning and splitting of the atoms of uranium and plutonium. The original design and construction of US nuclear plants planned for used fuel storage over a decade or two, not long-term storage. The nation’s 104 nuclear power plants are now storing some 63,000 metric tons of spent fuel rods, according to 2010 numbers compiled by the Nuclear Energy Institute. All of these concerns sit atop a shaky foundation where most plants in the US are re-licensed automatically way past their originally designed lifetime. 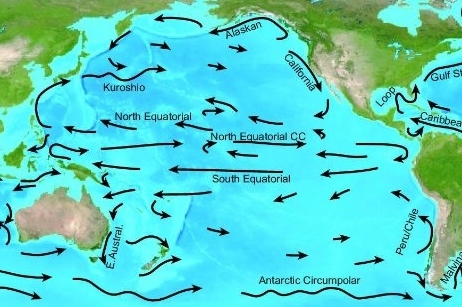 Can Ocean Currents Transport Radioactive Materials To The US? We know that in the days after the Fukushima nuclear plant began releasing radioactive materials into the atmosphere, all of the “weather readers” on the networks and local channels appeared to be reading from the same script. Soon after “experts” were paraded in front of the camera to dismiss the possibility. We all know now that they were dead wrong! 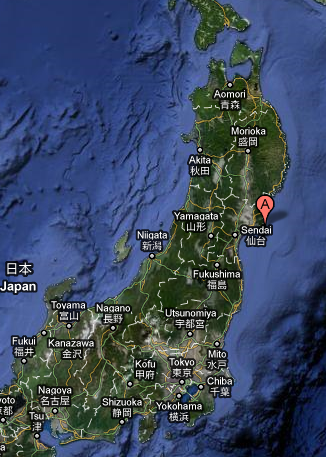 “Japan has an evacuation area of about 12 miles from the nuclear plants. Washington state is 5,000 to 6,000 miles away from Japan,” Tim Church, a spokesman for the Washington State Department of Health, told the Wall Street Journal in a March 15th article. “Worst-case scenario, there is no threat to public health in California,” said the California Emergency Management Agency Secretary Mike Dayton. “Based on the type of reactor design and the nature of the accident, we see a very low likelihood — really, a very low probability — that there’s any possibility of harmful radiation levels in the United States or in Hawaii or any other U.S. territories,” Nuclear Regulatory Commission Chairman Gregory Jaczko stated . And now that it is here they are all now saying that the levels aren’t harmful. What I haven’t heard discussed much is whether or not the massive amounts of material flowing into the Pacific Ocean can make it to the US shores. Fig. 1 is a map of the ocean currents in the Pacific. Much like the jet stream, gulf currents follow fairly predictable seasonal paths. As you can see, just as with the jet stream there is ample opportunity for ANY material to be transported thousand of miles. OUT TO SEA???? AND THEN WHERE??? More to come on this issue in a latter post. Japan’s leading English-language newspaper–is published by The Yomiuri Shimbun which has the largest circulation of any newspaper in Japan. The Daily Yomiuri is an excellent source of both domestic and foreign news. In addition to economic, political, sports and hard news, other information includes commentaries from opinion leaders in various fields and editorials that reflect Japanese public opinion. Television feed of Japanese man named “ Katz” reading and interpreting Japanese news sources in English. Very good info here. NHK operates international television, radio and Internet services in Japan. Together, they are known as NHK WORLD. This is their English language feed. 24 hr news and commentary from a Russian perspective. Official Tokyo Electric & Power Company English language site. Press Releases and periodic Main Gate readings are published here. Press TV is the first Iranian international news network, broadcasting in English. UNLV Health Physics department has set up a high-volume air sampler on the roof of the Bigelow Health Sciences building in an attempt to measure radionuclides released from the Fukushima Daiichi accident in Japan. UNIVERSITY OF WASHINGTON PHYSICS DEPT quickly adapted one of their basic research labs to monitor for the arrival of trace amounts of fission products produced at Fukushima. The California Regional Weather Server’s weather maps and images are created at San Francisco State University using data from the National Weather Service. University of Maryland atmospheric science researchers are publishing atmospheric dispersion patterns using a tool developed by the National Oceanic and Atmospheric Administration (NOAA) – the HYSPLIT model. Official US Gov with information on air quality, food safety, Americans in Japan, disaster preparedness, and donations. This site provides information to help people protect themselves during and after a radiation event. 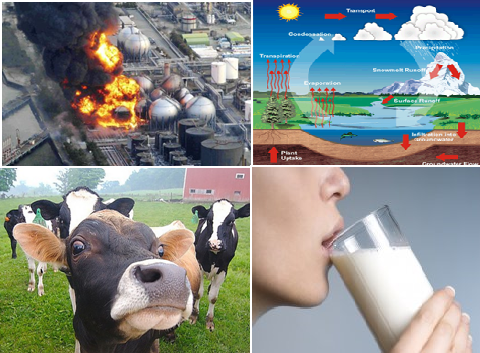 EPAs nationwide radiation monitoring system, RadNet, continuously monitors the nations air and regularly monitors drinking water, milk and precipitation for environmental radiation. 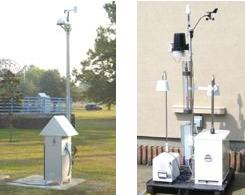 The RadNet system consists of both fixed and deployable monitors. To see data from an individual monitor click on the monitor in that state. 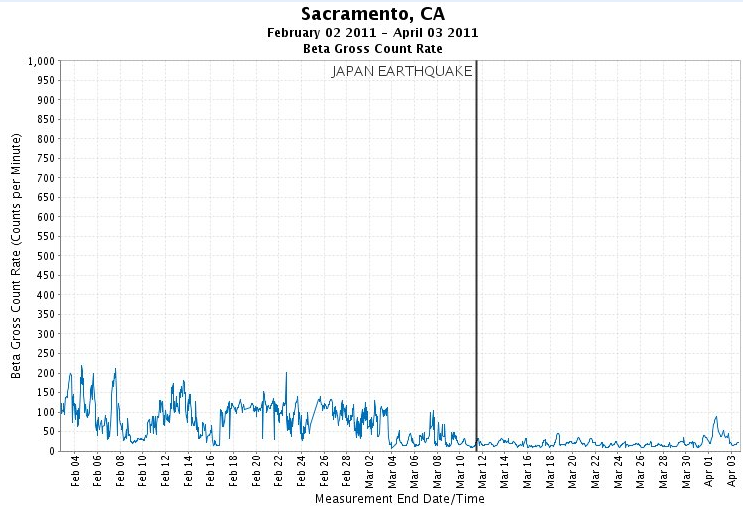 Unit 1 – Explosive sound and white smoke were confirmed after the big quake occurred at 3:36 pm on March 12th. It was assumed to be a hydrogen explosion. On April 26th, 1986 (at approximately 1:25 am) a Level-7 Accident occurred in Unit 4, of the Chernobyl nuclear power station in Ukraine, Soviet Union. 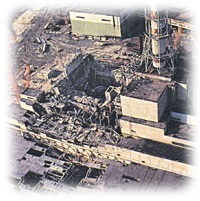 In the initial steam explosion and subsequent fires, large amounts of radioactive material were released in the form of gases and dust particles and part of the reactor building was destroyed. The energy released in the explosion was equivalent to 40 tons of TNT and resulted in discharge of about 4% of the reactor’s nuclear fuel to the environment. The reactor core was completely destroyed and approximately 150 tons of reactor fuel melted and flowed downward through the lower levels of the building, which included the pressure suppression pool. At 9 PM on the 28th of April, the Soviet Union announced to the world that an accident had occurred. This was two days and nineteen hours after the accident. The Soviet Union has been criticized for inadequate safety procedures and for keeping quiet about the event for so long. The criticism is justified. 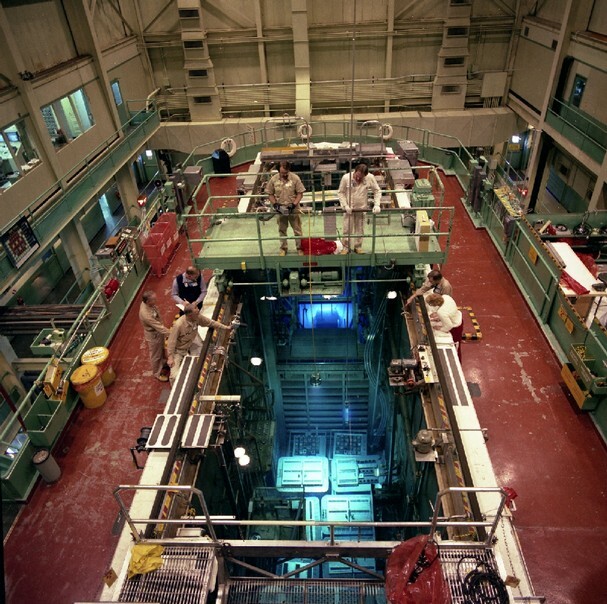 Basic deficiencies plagued the RBMK reactor. The Russian-designed RBMK has a graphite moderator and it is cooled by boiling ordinary water. Because of this it is possible to use natural uranium for fuel. A cost and convenience benefit that likely caused the Soviets to “overlook” some of the design issues. One unfortunate characteristic of the RBMK reactors is that increasing the proportion of steam to water makes the reactivity increase. Increasing reactivity means increasing power (heat), which causes more steam and so on. An uncontrolled positive feedback loop occurs and precipitates a runaway condition. This is referred to by engineers as a positive power coefficient. 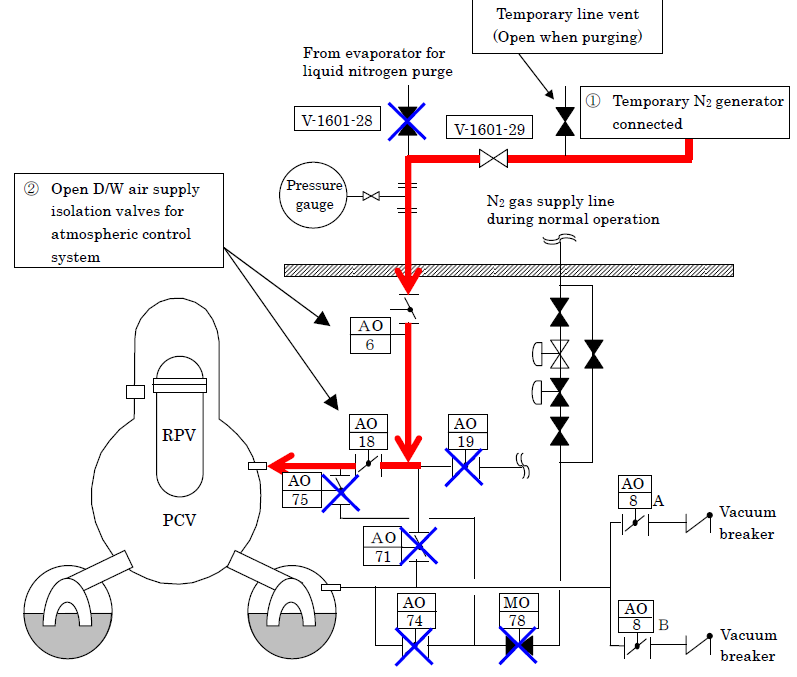 Paradoxically, this condition is not created by providing excess power to the reactor but too little. Because of this instability, there was a rule that extended operation was not permitted below 700 MW. Manual intervention by workers was necessary during planned shutdowns to make sure excess steam did not occur as the power dropped below the crucial power level causing instability. Like U.S. nuclear plants, the Soviet plants have diesel generators to take over if transmission line connections are lost. These generators would supply power for essential components and services but they take nearly a minute to start up and come on line. In previous tests, (presumably at a different RBMK reactor), it was found that as the turbine generator slowed down, the output voltage fell more rapidly than was desired dipping below the 700 MW level. A new control circuit had just been added to the Unit 4 generator to compensate for the voltage reduction. The accident took place during an experiment conducted at the start of a normal reactor shutdown to test this new circuit. The test was to determine the ability to continue to draw electrical power from a turbine generator coasting down. Startup and shutdown required taking the power level through regions of instability below about 600 MW. During the test, the staff at the reactor focused their attention on the question of how well the electromechanical equipment worked, and they did not pay attention to reactor effects. The test was under the control of an engineer from the company that supplied the new voltage control equipment. 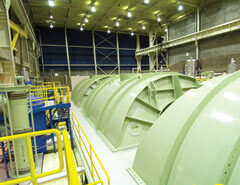 At 1:00 in the morning of April 25, the plant operators began to reduce power for the scheduled shutdown. To avoid damage to fuel channels from too rapid cooling, the power was decreased slowly. About twelve hours later (1:00 pm), the power had been lowered to 1600 MW. Soon after, the grid controller asked that the plant be kept on line to supply electricity for the national electrical grid. Power reduction was stopped to comply with this request and turbine 8, which was scheduled to be used in the test, continued to supply electricity to the grid and to three main circulation pumps. This put the test on hold. At 11:00 pm the grid controller released the reactor from its requirement to supply power. The reduction in power level resumed. About 90 minutes later, an event occurred that set the stage for the accident. 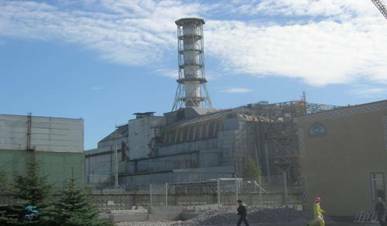 The reactor power was dropped to the 700 MW level viewed as minimum for the test; regulations prohibited operation below this level. Operation became unstable below this value. At this power level it is necessary for the operator to switch control modes. In doing this the operator neglected to adjust the control system to hold the power level steady. The power level began to decrease rapidly, and it fell about 30 MW before the operator could halt the drop by control rod motion. Controlling a reactor with a positive power coefficient is like trying to balance a baseball on the tip of a pool stick. So after the operator had stopped the steep power drop, he coaxed it back up again, and managed to achieve a steady power level of 200 MW. It was decided to run the test under these conditions, in absolute violation of regulations. The regulations also required a minimum number of 30 control rods in the reactor so the operator has the ability to reduce reactivity quickly At this point the number of control rods in the reactor was far lower than regulations permitted. Notably, at the post-accident meeting in Vienna the Soviet experts said that the state of the reactor at this point absolutely demanded that it be shut down. Yet this was not done! With reactor destruction only a little more than 20 minutes away. Another step was taken which complicated the situation significantly, and may have contributed to both the possibility of the accident and its magnitude. At 1:19:10 am, the operator began to increase the rate of feed-water return to the point at which it joins the recirculation flow at the steam drums. He did this to reduce the recirculation flow, because he decided that the water level in the steam drums had fallen too low. Feed-water is cooler than recirculation flow and is a strong determinant of the sub-cooling. The feed-water rose to about three times the equilibrium rate required for 200 MW operation. The steam drum water level did begin to slowly increase, but the reduced temperature of inlet water to the reactor core reduced the rate of boiling. At about 1:19:45, boiling stopped altogether. No boiling – no steam. The boiling-water reactor operated for about two minutes as a pressurized water reactor – which was contrary to design! The elimination of steam reduced the reactivity, and control rods were withdrawn, some completely out of the reactor, and some to positions of low effectiveness. The Soviets later reported that only 6 to 8 rods were in the reactor at this point, rather than the required 30. Next, to avoid a reactor trip, the operator locked out the specific SCRAM circuits associated with the control rods. SCRAM circuits and procedures control actions to accomplish a safe planned or emergency shutdown. At 1:21:55, the operator began to reduce feed-water flow, which by this time was up to four times the equilibrium rate. At 1:22:10 boiling began again in the core. The effect on reactivity was dramatic.At 1:22:10, rod bank AR1 began to drive into the reactor, reaching 90% insertion in 20 seconds. At 1:22:25 rod bank AR3 began to enter the reactor again. At this point, feed-water flow was about 2/3 the equilibrium rate for 200 MW. Rod bank AR1 responded violently for nearly a minute as the operator tried to establish the right setting. Even with these issues, at 1:23:04 the planned test began with closure of the turbine stop valve for turbine 8. This stopped steam flow to the turbine and effectively turned the turbine off to start its “coastdown”.Shortly before this, the operator had committed his sixth (and most deadly) violation of safety requirements; he blocked the SCRAM circuit that would have shut the reactor down as a result of a turbine trip. If he had not blocked this SCRAM circuit, then the accident would never have happened, in spite of his five previous violations. If the operator had not done this then all control rods would have been automatically re-inserted and a controlled shut down would have occurred. Even with all of this, the reactor’s remaining automatic circuits attempted to restore stability by inserting control rods, but the program was confused by the unusual data and repeatedly inserted and removed rods over the next few seconds. In a period of less than three seconds the reactor power increased from 200 MW to 3200 MW, far above normal operating specifications. The operator tried to manually re-activate the SCRAM circuits that he had blocked, but it was too late. Within two seconds the power of the reactor was at a level estimated to be a hundred times normal higher than normal operating power, or above 300,000 MW. One second after that the reactor was destroyed.